» Try to save some of that water? Try to save some of that water? 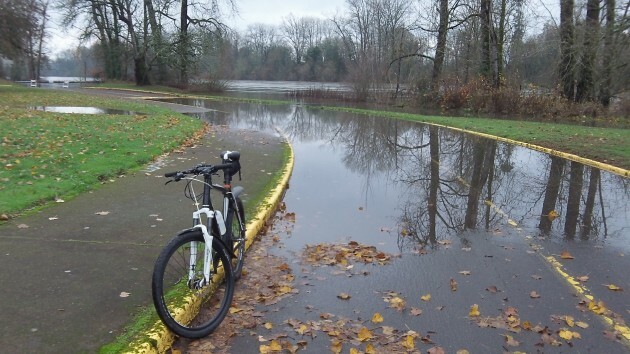 As usual, high water has changed one of my bike routes, which normally includes Bryant Park. 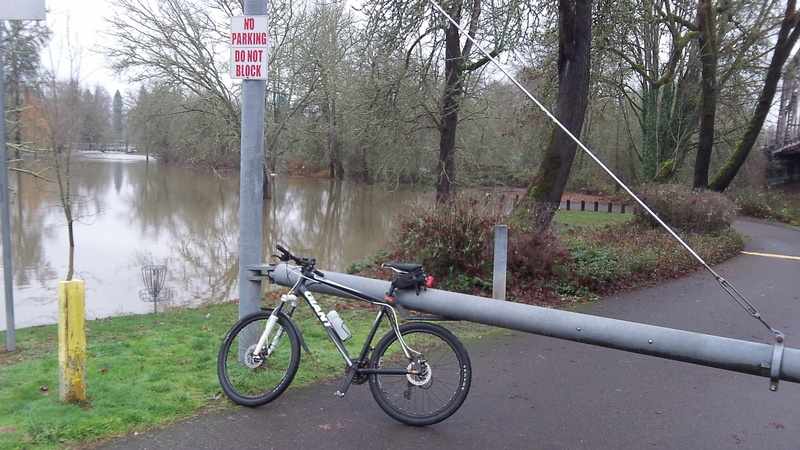 One of my bike routes takes me to first to Bryant and then to Bowman Park on the Willamette River in Albany. And every time the regular seasonal flooding closes the parks, as now, I wonder the same thing: Wouldn’t it be useful if we could store at least some of the water that rushes down the river this time of year? On Tuesday afternoon, the river was pouring past Albany at a rate of 56,000 cubic feet per second, according to the online reading of the Geological Survey gauge near the Ellsworth Street bridge. The gauge reading of 19 feet was well below the official flood stage of 25 feet, but it was more than enough to put most of Bryant and part of Bowman Park under water. This is nothing unusual. It happens just about every winter. But just last summer, all the rivers were running unusually low and we were worried whether this was the start of a serious drought. People alarmed about climate change keep telling us that we’re going to see more wintertime rain but less mountain snow in the years to come. If their guesses prove right, the need for more storage of winter runoff becomes obvious. And yet we don’t hear our leaders in state government talking about this, let alone doing anything about it. They are busy discouraging the use of fossil fuel by making it more expensive, hoping that this will somehow slow worldwide climate change. But they seem strangely unmoved by any thought of doing something far more immediate to cope with the effects that climate scientists like OSU’s Phil Mote have been talking about for years. Downstream at Bowman Park, the story is the same. Are the “water managers” filling reservoirs behind the dams now or just dumping it? ?